In an increasingly complex and competitive world, where creativity and innovation arevital, people everywhere need to work more collaboratively. Workspace design needs to inspire and bring together people, information and space in a way that augments theirinteraction and amplifies their performance. 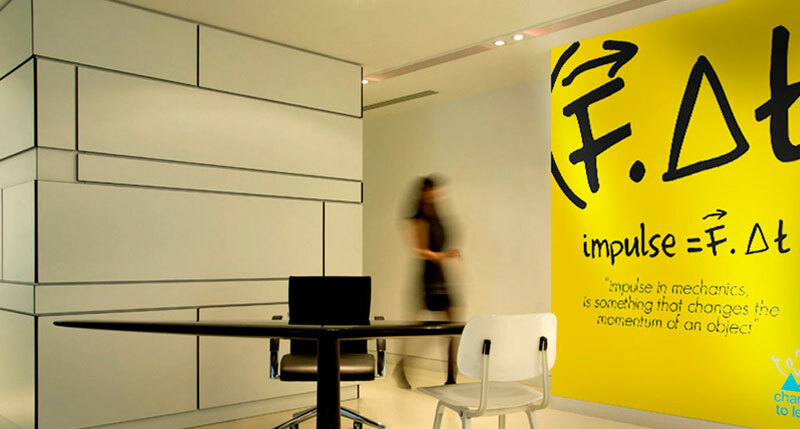 It should also be a place that instills and emphasizes the values of the organization and its personality. Today’s work place is about diversity, many distinct pieces creating a whole. Global organizations have a large number of distributed workers from across the world. In organizations where people perform highly skilled knowledge work, who are otherwise called as the “creative class”, the work space has evolved into technology-augmented, communal workplaces giving rise to flexible and distributed work. This trend is generating a radical rethinking of the workplace as a place where employees come often, versus being where they work all the time.At the same time, organizations are evolving and driving concepts of what it means to be a globally integrated enterprise. 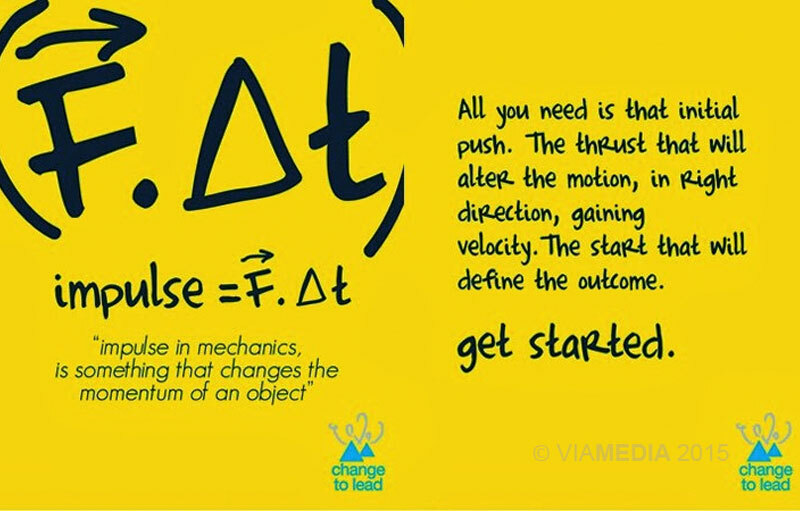 Being a part of a global organization, it is imperative that the belief system permeates at all levels of the organization. Inspiring workspaces are a medium not just to facilitate work, but where people can be reminded of the values they stand for. 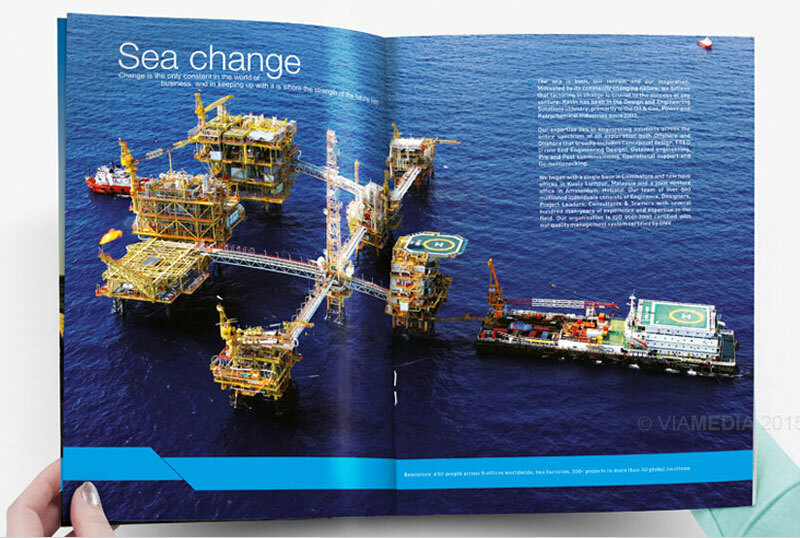 Kavin Engineering and Services Limited is an engineering consulting company in the oil and gas sector. Their design services encompass a comprehensive range right from conceptual design to de-bottlenecking. 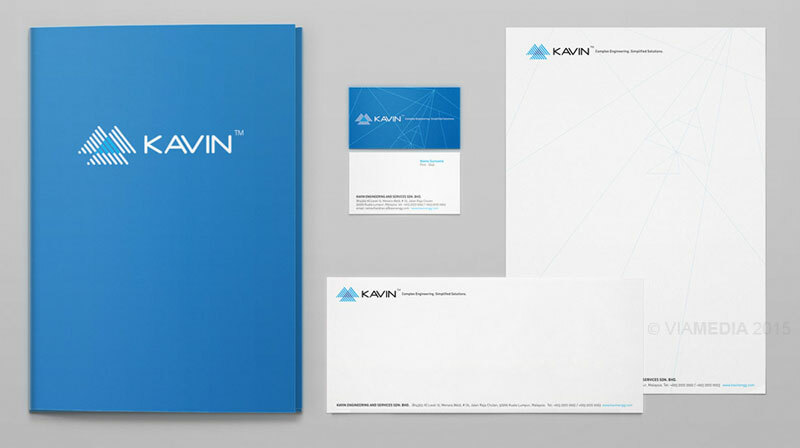 From a small 5 member organization in 2002, Kavin Engineering grew to become a 500 member organization with a global presence. It was time to renew its identity and launch a campaign aimed at its clients and to its employees. Identity is a lot less about who you think you are and more about what you feel a part of. Kavin is now global oil and gas engineering company, everyone within the organization needs to feel the growth and embrace the change. A paradigm shift in the attitude and culture. Retaining the brand colour, the existing logo was stylized along with a new typeface. 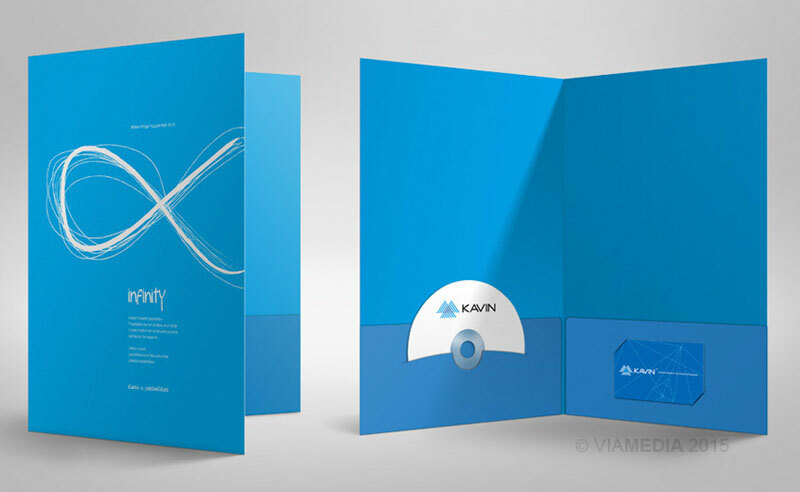 A corporate communication program included advertising campaign, corporate brochure, redesign of the website was planned . 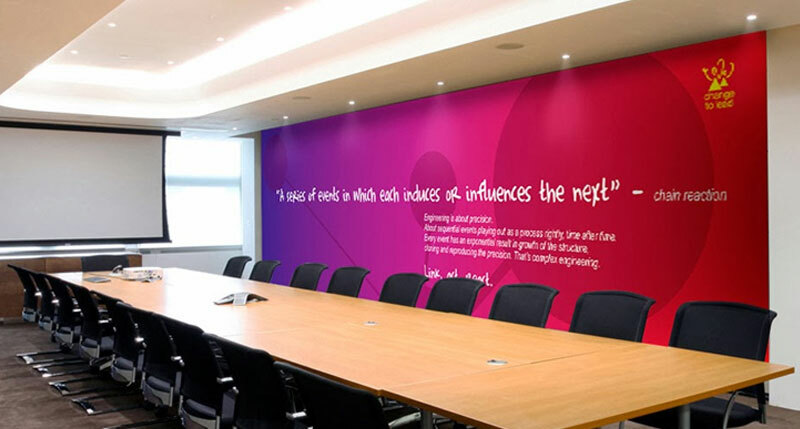 For the employees across countries an internal communication program was planned, it included an internal brand alignment program, workspace design with environmental graphics and merchandise. 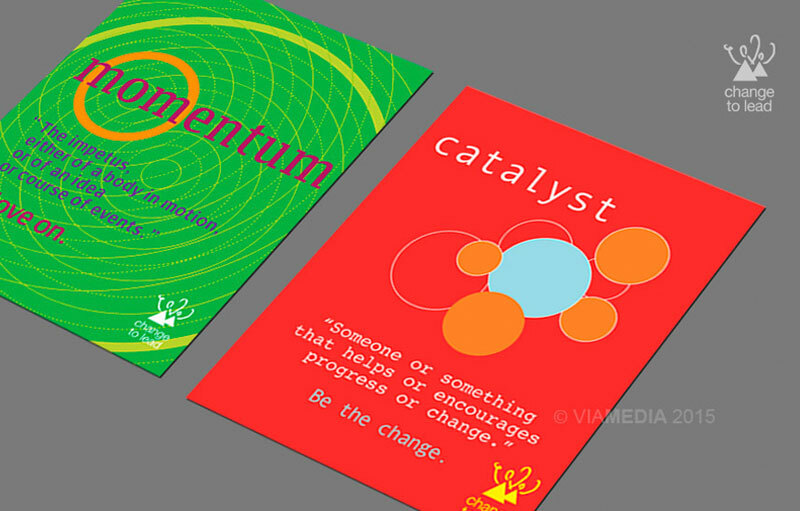 The concept was to represent change through self-presentation in an emotional way. 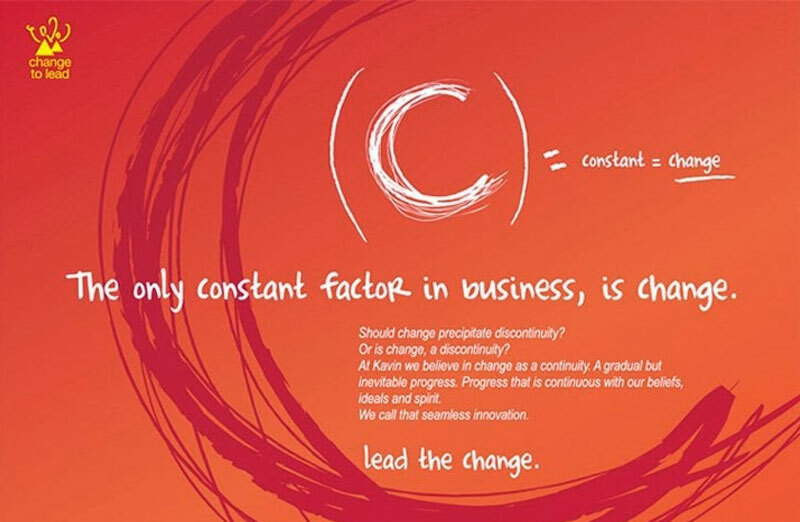 Sea change was the overall concept that communicated the growth of the organization in every facet of business. It represented the spirit of Kavin, the passion towards complex engineering. 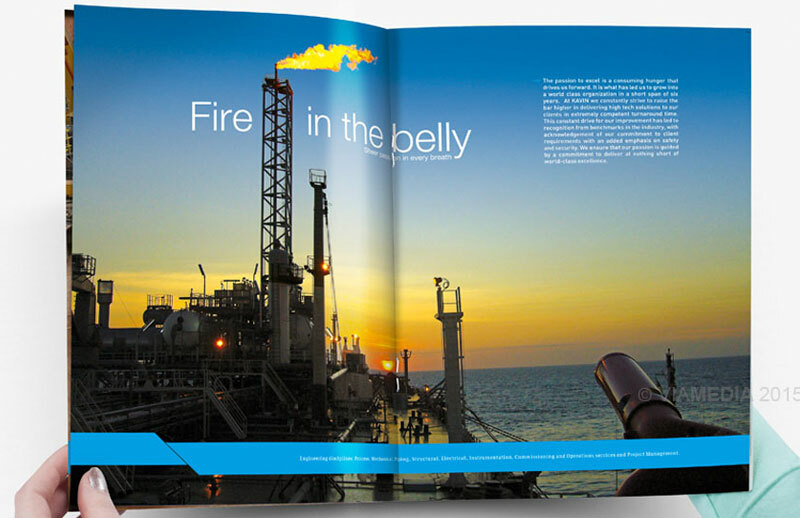 The idea was extended to all forms of corporate communication- corporate brochure, advertising campaign, website and stationery. Mirroring the communication to enable change within, ‘Lead change’ was an integrated communication exercise that involved a ‘Change Program’ initiated by us with their HR department. 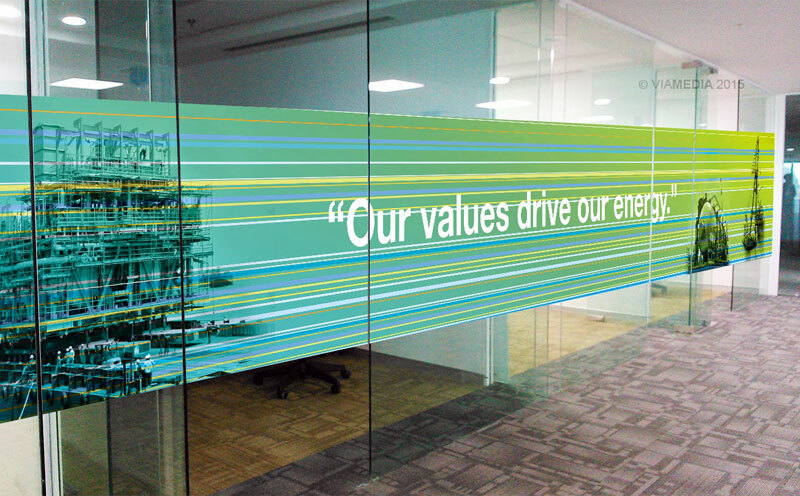 The work space was redone with environment graphics with inspiring messages. 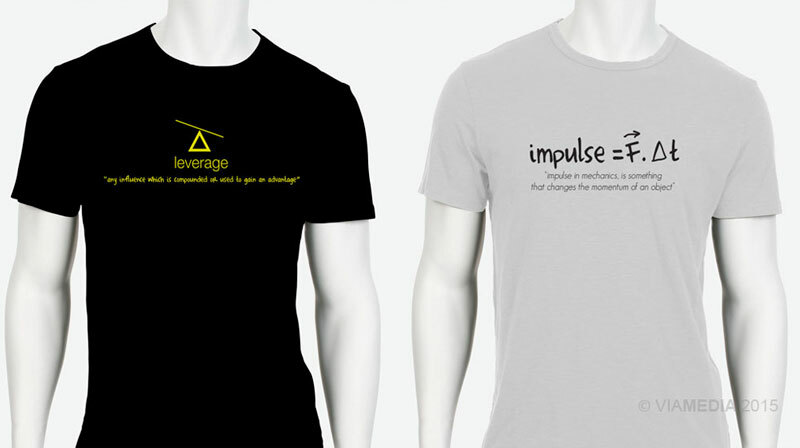 The idea was extended to promotional merchandise for the impact across all touch points. pride and lower attrition of staff.